Q – Is enlightening of chakras practically possible using meditation? The brief answer to this : The manifestation of ‘expressed’ Kundalini is your being! The current state you are in, your body, mind, attitude, capacities.. virtually every aspect which you categorised as ‘my or mine’ is that expressed portion of kundalini. Individual kundalini is an infinitely miniscule stream deriving its qualities from the oceanic ‘Mahashakti’ – the Creative principle. As per Shaakta tantric principles the Mahashakti – divine creative principle manifests itself as energy and consciousness in its playful state. This creative principle in your body is always functioning despite you. The so called illumination of activation of chakra means creating a capacity (through the use of expressed part of Kundalini in your body and being) and awareness to experience this divine dance of manifested active Energy in your body and being. The moment you become capable of experiencing one chakra you have taken a lean from the material to ethereal experience. Of course as your awareness and capacity increases you can experience and exploit the inherent capacities that exist within the framework of your body and mind. They are referred to as siddhis. There are various ways of creating that awareness and sensitivity to experience the nodal centers of energies (chakras) but every method requires consistent and intense effort. The general principle is – move from outer to inner. Move from desires to desirelessness. Move from thoughts to thoughtlessness. Move away from expectations to witnessing. Move from Tamas to Sattva. Tantric system has many ways (each one of them needs to be given out by a qualified/realized teacher) for facilitating this journey from impurity to purity. Purity means balance and minimal agitation in the system of body and mind. The highest and sureshot system of awakening/activating chakras (there is much more to it than just purifying and illuminating chakras) in Tantra is known as Sri Vidya Sadhana. In the Samaya and Mishra system of Sri Vidya sadhana one naturally works through various processes that awaken, purify and balance the chakras. This is a meditation system that beautifully utilizes the power of expressed kundalini shakti through use of Mantras. Yoga also works in this way but most of the times without much of reference to chakras. Yet to be able to meditate effectively whether it is in the Tantric System or Yogic one needs to go through the various purification processes. In system of Yoga this purification is achieved by Yama-Niyamas, Shat-karmas and Nadi-shuddi. In the system of Tantra you have Nadi-Shuddhi, Bhuta-Shuddhi, Shaktipaata by Guru and taking use of processes like Panch-Mahabhuta Shakti Kriya and Mantras. So, whatever system you follow – you shall be directly or indirectly working through your chakras and to be able to activate and illuminate higher chakra you would need more purity and higher awareness. So, do meditate but remember meditation begins with Dharana. And Dharana is capacity to focus and concentrate. Which means the movement of money mind must stop. Yet to be able to activate chakras through meditation you will have to use Dharana i.e. localized focus on certain points in the body-Energy matrix of yours rather than a non-local meditation which aims at relaxation of mind and a state of thoughtlessness. Only thoughtlessness doesn’t lead to illumination of chakras. Shiva Sutras – One of the most highly regarded book of original Tantric amorphisms is divided in three segments. These pertain to the three categories of practices and also three categories of seekers/practitioners. In this small video tantra master Acharya Agyaatadarshan Anand Nath chooses to pick an apt allegory from modern man’s daily life to explain the practical aspects of these three categories of Sutras. 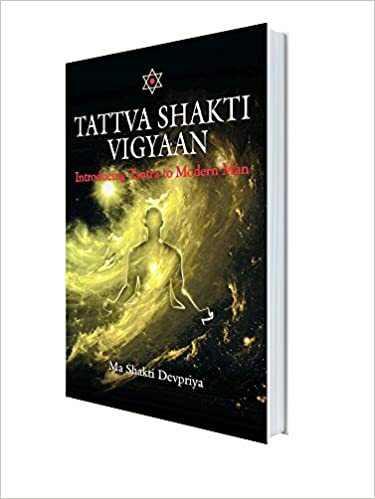 Acharya ji & his beloved consort Ma Shakti Devpriya ji offer Tantra initiations to interested seekers by way of inducting then in Tattva Shakti Vigyaan discipleship programme.